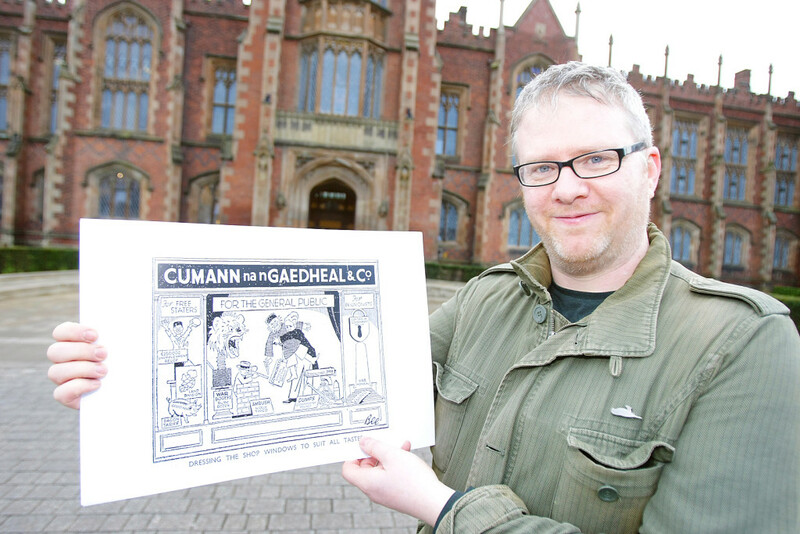 South Belfast historian Barry Sheppard is to showcase the fascinating political art and cartoons of a forgotten decade at this year’s Spring Festival in Belfast. Barry is a post-graduate of Queen’s University Belfast where by he studied the art and politics of 1930s Ireland in great detail and it is this period on which the new exhibition focuses. “Despite this period’s relevance to today, I feel it is unpopular and overlooked in comparison to the period of the Easter Rising and the War of Independence,” he says. Barry has put together a collection he feels best illustrates aspects of one of his areas of interest – nation-building after a time of conflict. The exhibition will feature 50 prints on economic, political and social issues of the 1930s, a period to which Barry feels a personal link through his studies. Barry said he’s “extremely grateful” to be included in this year’s Spring Festival. He himself has attended the festival for a number of years and has been an admirer of its strong programme – in particular its exhibitions and talks. Barry describes 1930s Ireland as being a period of intense change, both politically and economically, after the massive upheavals brought about by the Rising, the War of Independence, the Civil War and World War One. All of these conflicts have been examined in minute detail but the 1930s – the first full decade in which their effects played out – has received relatively little attention. He says there are echoes of that decade’s post-conflict economic and political turmoil in Northern Ireland today. Among the key issues examined by the works are the developing post-Civil War politics of Fianna Fáil and Fine Gael, deepening unemployment, attitudes to partition, the relationship between Ireland and England and the Free State oath of allegiance. “History, no matter what form it takes, should be accessible to everyone,” says Barry. “The Spring Festival provides this platform”. The exhibition opens at Conway Mill on Tuesday, March 10.